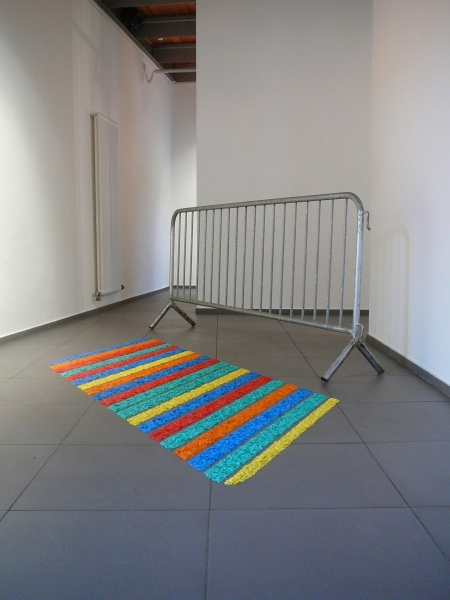 A barrier gate purloined from a demonstration becomes a readymade transferred to the art space, colorful confetti lined up neatly along the shadows cast onto the ground by its bars. The fragile material fills the twenty bright liminal spaces, thereby providing, as site-specific adaptation, a picture in light of the respective space at the time of day when the theft took place. 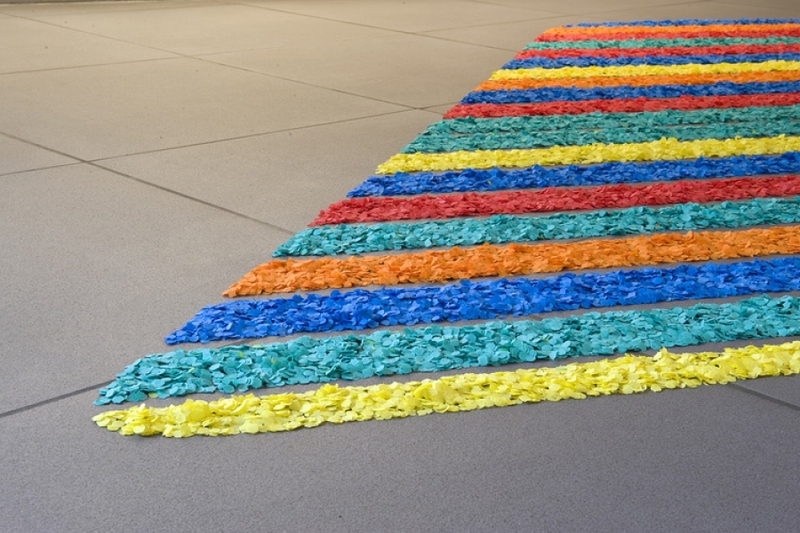 and the cheery confetti, so liable at any moment to break out of formation.